How do I eliminate gym bag odor? 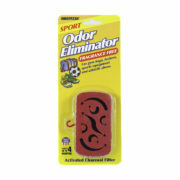 Innofresh Footwear & Sports odor eliminators eliminate perspiration-related gym bag odor and other unwanted odors in sport equipment bags, footwear and sports gear bags. Using patented Activated Charcoal technology, Innofresh Footwear & Sports odor eliminators actually remove sweaty-smelling pollutants from the area around them for cleaner, fresher air. If you have an active family — Basketball, Baseball, Softball, Football, Soccer, Volleyball — you probably have unpleasant sports odors coming from your equipment or inside your workout bags. Easy and effective, just place a couple of these powerful odor absorbers inside your sport bag, gym bag, bowling ball bag, hockey duffle and that’s it. Our unique activated carbon filter starts working immediately to absorb, trap and neutralize the odor from your equipment and from inside the bag. 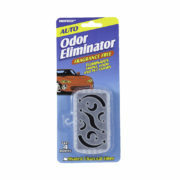 Some sport odors are particularly pungent so you may want to use multiple units to enjoy maximum odor control. 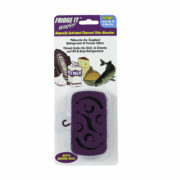 Innofresh is fragrance free, so it doesn’t just cover up the smell with fragranced air fresheners. Don’t use sprays that might harm the equipment and bag. Irritating fragrances just cover up the smell. 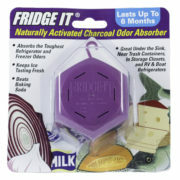 Now, there’s a way to safely reduce and even eliminate the odor using Innofresh Sport fragrance free activated charcoal odor absorbers. Sensitive to fragrances and chemicals? Allergies? 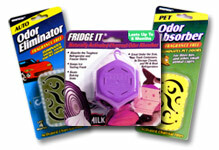 Innofresh Footwear & Sports odor eliminators are a perfect solution since they contain no fragrances. No worry about sprays, messy powders, gels and small granules. 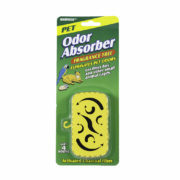 One or two absorbers will fit neatly in your bag and will provide lasting protection from post-workout odors.